Chazon V'Derech by David Ben-Gurion, Tel Aviv 1962. 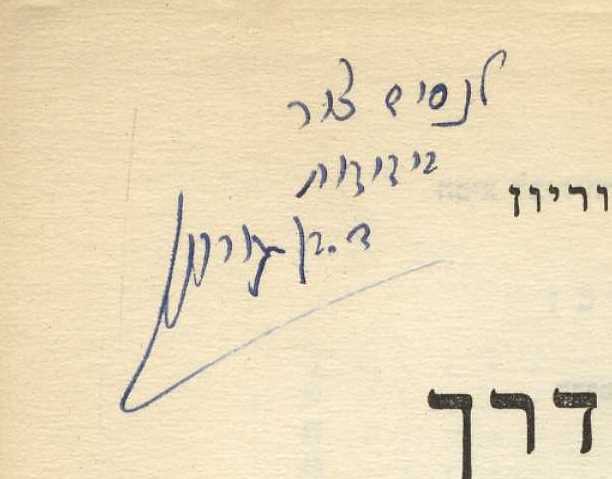 The title page is inscribed and autographed by Ben Gurion: "To Nissim Tzur, in friendship, D. Ben-Gurion." Nissim Tzur was Ben-Gurion's bodyguard. With dust jacket, entirely complete. Tears in jacket, fine condition.